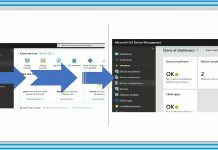 Microsoft is moving Premier Support case request for Intune into Azure Portal. 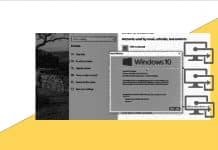 If your organization is having a premier support contract with Microsoft, you should login to the Azure portal to raise a premier support case for Intune issues. 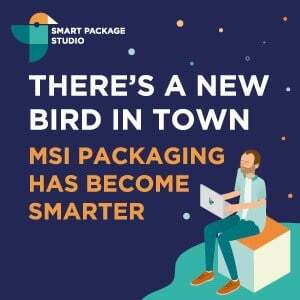 Through this post, you will learn how to Raise Premier Support Case for Intune. 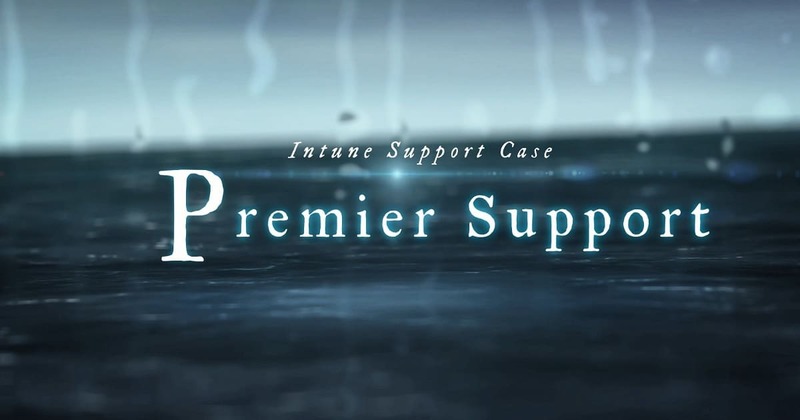 The current process to raise Premier support case for Intune is using Premier support website (https://premier.microsoft.com). 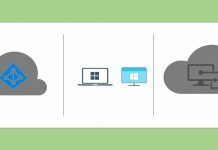 If you are a new Premier customer, sign in using a personal, work, or school account and then add the access ID and password provided by your Microsoft technical account manager (TAM), under Manage access. Starting on December 3, 2018, if you are a Premier customer using Intune, you will be able to create support requests only in Intune on Azure (portal.azure.com). Video Tutorial to explain how to raise Premier support case for Intune issues. 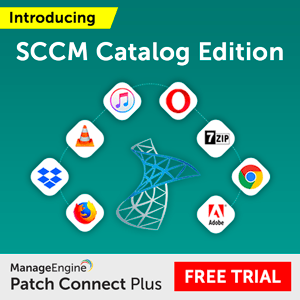 Following steps will help you to experience of IT Pro when they raise the experience of IT Pro when they raise a premier support case from the Azure portal. 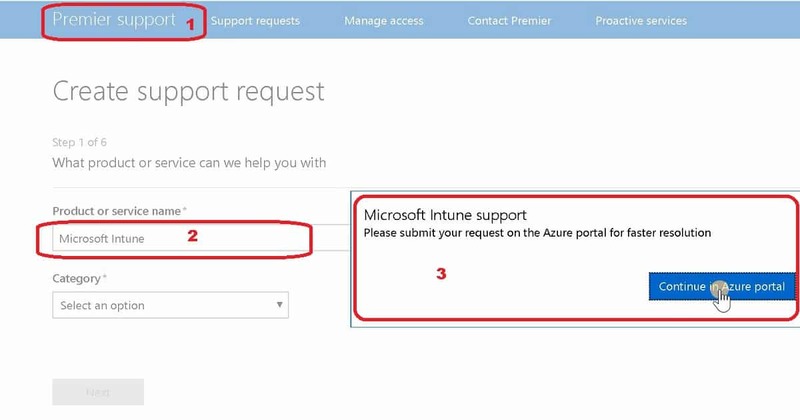 You have two(2) options to raise Premier support request for Intune from the Azure portal. You can click on Help and Support from any blade in Azure portal. Go to the ? icon in the upper right-hand corner of the Azure portal. 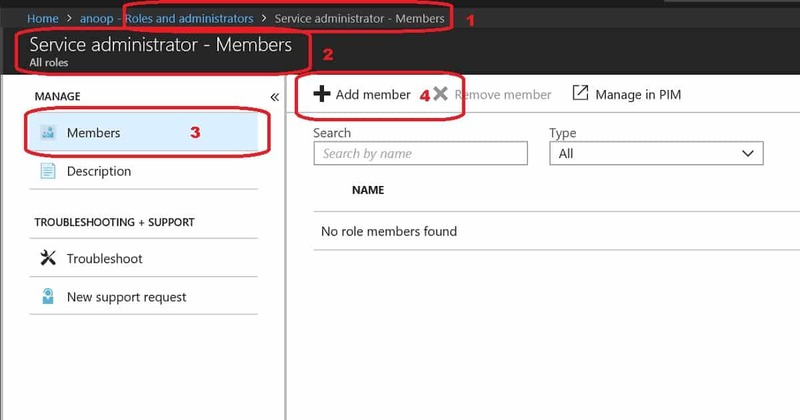 I have explained how to raise Intune Premier support case from the Azure portal in this video tutorial. Option#1. Go to the ? icon in the upper right-hand corner of the console > Help and Support > New support request. Option#2. 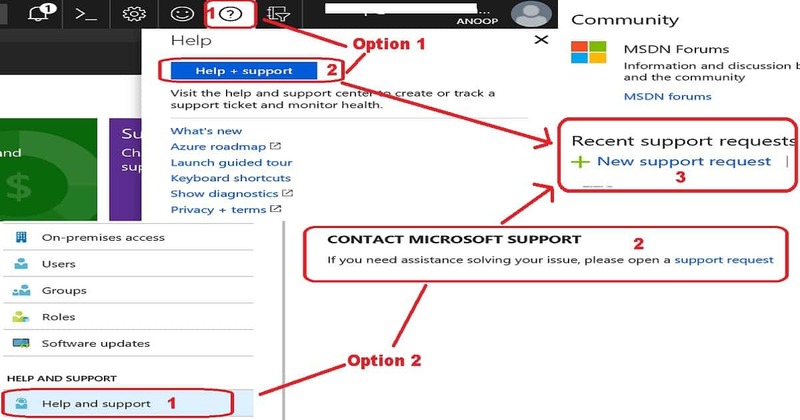 Click on Help and Support in any blade in Intune to see specific troubleshooting content and create a support request (see screenshot for example). 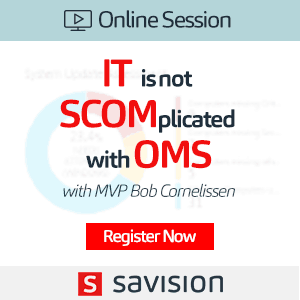 You should provide the service support administrator access to the team who is supposed to raise Premier support case for Intune. The Service Administrator role provides three(3) accesses as mentioned below. 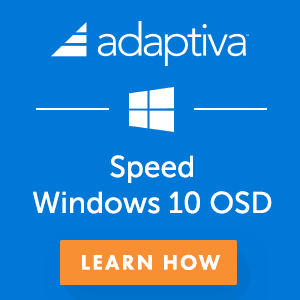 Users with this service support role can open support requests with Microsoft for Azure and Office 365 services and views the service dashboard and message center in the Azure portal and Office 365 admin portal. Following are the high-level permissions get allocated to the service support administrator role. So that person can raise Premier support case for Intune.